Twin brother and sister Dipper and Mabel Pines are sent to the small town of Gravity Falls, Oregon to spend their summer vacation with their great uncle (Grunkle) Stan. Upon arrival, Grunkle Stan enlists the siblings’ help in running The Mystery Shack, a self-owned tourist trap that overcharges unsuspecting customers. While Dipper has a hard time getting used to his new surroundings, Mabels upbeat optimism comes in handy in her quest to find true love. But there may be more to Gravity Falls than meets the eye as Dipper and Mabel encounter strange occurrences and weird creatures. 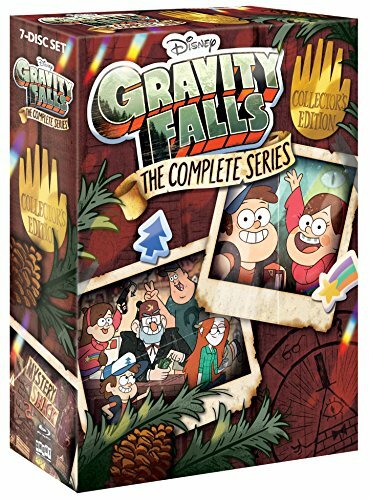 When Dipper stumbles upon an elusive book, he discovers it is the answer to uncovering the towns mysterious happenings. Soon, Dipper and Mabel realize they must rely on each other to navigate this unfamiliar place. Meanwhile, Grunkle Stan guards a secret of his own: one that just might hold the key to unlocking the deeper mystery that is Gravity Falls.